Anthony Burgess: more than just A Clockwork Orange. 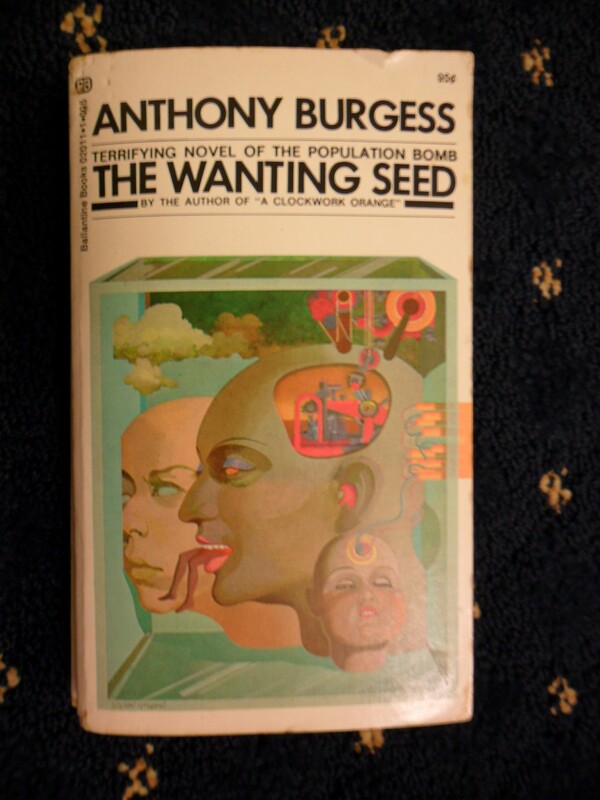 Yesterday I posted a review of Anthony Burgess’s The Wanting Seed. Let’s learn a little more about this fascinating man. Anthony Burgess (1917-1993, birth name John Burgess Wilson) was an English literature teacher throughout the 1940s, and worked for the British Colonial Service in the 1950’s, travelling to Malaysia and Brunei. Although gainfully employed during his travels, he often wrote short novels that were openly quite critical of the regimes he was living under. Some books never saw publication due to libel suits. This multitalented author, linguist, critic, satirist and musician, is considered one of Britain’s greatest contemporary writers. In the United States, we mostly know Anthony Burgess because of the movie A Clockwork Orange. A cult classic, if you’ve seen the movie, I highly recommend the book. It’s much easier to swallow than the movie, and is an amazing read. Famous for his biting satire of contemporary society, Burgess was always more proud of his works of philosophical literature, literary criticism, and his music. Talented in linguistics as well, Burgess was fluent in French and German at a young age, and during his time overseas he taught himself Malay, and Farsi. You can see his love for languages while experiences the strange slang in A Clockwork Orange. 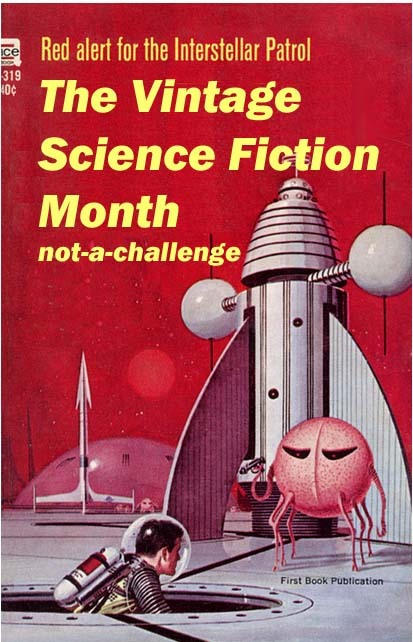 Vintage Science Fiction Month Returns!! In this Dystopian futuristic London, Earth’s population has exploded,requiring government involvement to keep population under control. Solutions include limiting families to one birth, allowing a high infant mortality rate, and doing anything to discourage pregnancy. Energy is scarce, so nothing is wasted, and dead bodies are used as fertilizers and energy. Most people subsist on government supplied rations of artificially created foodstuffs. Burgess writes so perfectly smoothly that you don’t even feel the disturbing qualities overtake the story. By the time you realize what’s happening, it’s too late to put the book down. The story follows Tristram Foxe and his wife Beatrice-Joanna. Tristram is a scholar and school teacher, and Beatrice-Joanna is having an affair with her brother in law, Derek, who is a government official. in a future where procreating families are looked down upon, homosexuality is a highly promoted lifestyle choice as a way of having a perfectly healthy sexual relationship where children are impossible. Many heterosexuals act homosexual in public, as overt homosexuality has become a way to further one’s career opportunities. Derek, for instance, flirts with men all day long, but visits Beatrice-Joanna as often as possible. Beatrice-Joanna becomes pregnant by Derek (after purposely misusing her government supplied contraceptives), and when Tristram finds out the child may not be his, he kicks her out, and she goes north to find shelter on her sister’s farm. Their marital troubles aside, society is falling apart around Tristram and Beatrice-Joanna. The government has started to threaten random blood testing of women for pregnancy, further enforcement of government supplied contraceptives, and social pressures for sterilization. Ranks of the angry unemployed are hired as junior police officers and general goons to keep the populace terrorized.